Energized Workers: gap how to energize workers? Who will be energized? Those who think working hard will get us to next level. Question (mine): might this be meditative absorption and risk of losing awareness? Thinking fast and slow. Deliberate. When you are expert might respond automatically. We use our system 2 mind to check up on System 1 mind. [Makes me think of 70s study on Samaritan behavior when in a rush]. Practice in system 2 mind so you can behave in system 1 mind when an emergency cones along. Talking about Heroes using Agile tricks at Intel. And running out of tricks! Last night I went with @totheralistair and @ghennipher to see Sleep No More. Interestingly, in an odd synchronization with my piece on privacy just published yesterday, Sleep No More plays with voyeurism, privacy, audience/observer, exploration and curiosity. When you arrive you are given a Venetian mask and told “You will find yourself experiencing the hotel alone,” “Curiosity is rewarded,” “Please do not speak,” and “Please do not take off your mask; this is for us.” You soon find yourself playing the ghost, the ultimate “Other” of Jean-Paul Sartre, rifling through files and drawers, the extended beak on the mask emphasizing your nosy-ness, a wordless observer of wordless dance and action, chasing other ghosts, ghosts of the thirties, through the three warehouses dressed as part-hotel, part insane asylum, part small town. Part village. 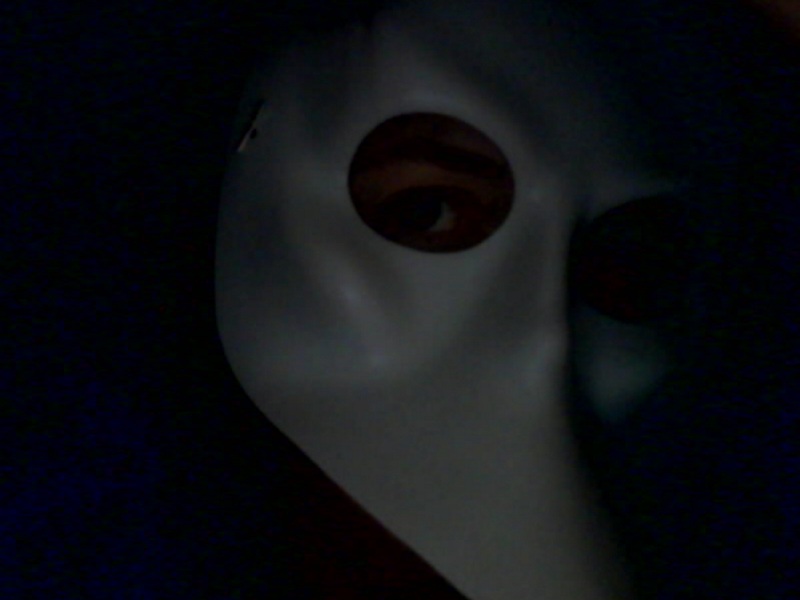 It may be better for someone to go into the Sleep No More experience without pre-conceived notions. If you think you might have the opportunity to go to Sleep No More, maybe don’t read this post. What do these really mean? If you are looking to hire someone, how do they really exhibit these qualities? Here are my raw, unedited notes from Agile Day New York. Will parse later and capture my reactions and those of others if I receive any. Asked who is rational. Found audience member – asked if married. Then asked if it was rational decision. Did he do a decision tree? No. Cognitive scientists are telling us *none* of our decisions are rational. Then mentioned how a deck on agile with rational argument for Agile does not take. Reason why people decide to do anything in an organization is not based on a rational decision. It is based on something else. We don’t know, can’t know why we make the decisions we do. After the fact we can outline a reason why; we are good at making a rationalization. But has nothing to do with the real reason. Power of belief. If you are going to be someone who is going to change your organization, you must believe. Be an evangelist. Share your passion. Agile might be a placebo. What do we think: Does it matter whether we have double-blind studies? We have no proof. We only have a lot of good stories, but no scientific proof. Take small steps; build on successes and learn from failure. Repeat. Test waters; Time for reflection; small successes; step by step. Then you can reach the tipping point. Has seen increments of a few hours at Amazon. Timing is everything. For example better times to talk to people than others. Companies announce: “Do more with less.” Means we have to work more. How do these companies do this? They just announce it. Example at her husband’s company. And not a single person left; not a single person worked fewer hours. Not that they are resistant to change or stupid. Have no time to breathe or think of a better way. Just do it. Do Food. Goodness should win, right? Could it be that everyone thinks that his ideas are the good ones? Has nothing to do with tools. Bullet in a PowerPoint doesn’t convince, doesn’t brainwash. An experiment shows that serving food opens the mind to ideas. So “do food.”. Double-blind studies show that the group fed food will support even bad ideas. Every time. And the qualitybof the food is important. Not what they say they want; what they really want. Main question is “what’s in it for me?” And if you cannot make an emotional connection, adopt another’s p.o.v., and only present rational, you cannot effect change. Respect resistance; use it to your advantage. What do we do with those people? Fire them? The most convincing thing you can do is to pay attention and listen. Treat that person as though they are wisest in the world. So play role of active listener and learner. Seek them out. Respect that other point of view. 75% of the time that respect will listen them into being open to you. Move away from the fencing match model of “Ha! Ha! I win!” It doesn’t work.